The third and final update to the second Alpha event is releasing on April 15th! Details in the image in the OP and via a blog post soon to be released on the website. Re: [MMORPG] BrawlQuest - Part brawler, part RPG - "When should I use [spellname]?" If you want to normalize RNG rolls then just do multiple rng passes then take the average of all the results. times and then take the average, or four, and so on. Also what was it like getting the network code to a functional level? If you're going for 'massive' I assume you're using authoritative servers? The problem with 'mmos' has always been the idea of thousands of strangers is superficially appealing until you get into the thick of it and end up feeling lost. The 'monkey sphere number' is basically the number of people who have evolved to recognize at a subconscious level as 'people'. This number hovers around 150, about the size of many human tribes throughout most of our history pre-civilization or somesuch. For example, the subconscious doesn't recognize say, garbage truck drivers, as full, living, breathing individuals, in the same way it recognizes say, a friend or family member. So a good rule of thumb, especially considering games like everquest and wow already set the precedent (and even they struggle to retain players), is to go with some sub-150 number. The trend is toward smaller multiplayer, pubg and other titles of that ilk limit you to 100-120 people which is, depending on the game, almost too much--a perfect example of too many cooks in the kitchen is rust, where the build mechanics conflict with the pvp mechanics, some people like it, other people mod it, but I'm going off on a tangent. In any case, have you stress-tested your servers/game non-locally and how was the performance? Hey! Cheers for the detailed feedback. The dice rolling thing is a really good idea, I've never come across that concept before. What I've currently got works for random encounters (and in the next Alpha releasing in June the player has some control over the frequency of random encounters in a similar fashion to Bravely Default) but if I was to change attack damage from always being the value of your weapon's attack to a more random and stats based system then I'd definitely experiment with your suggestion. Thanks!! The network coding side of this project is the most challenging part, and there are no doubt countless better ways of doing everything that I'm doing. But, it works and I've got enough experience coding online multiplayer in LOVE games that I can do everything fairly quickly now. It'll be continually refined before the full release this Winter*. Finally, the MMO thing: the M actually historically stands for "massively" rather than "massive". To me, that dictates a design concept that everything is there to be done with other players. Now, I'm currently in talks with a hosting company to get a sponsorship going (I'm aware that that generally doesn't sound good, but this is a real and proper sponsorship with a company whose CTO I am friends with and have worked with several times. We're wanting to put all of my "company's" projects hosted under their servers in return for a profit share and licensing deals) and we're not yet sure how much hardware we'll be using for BrawlQuest. As soon as we have a couple physical servers put together we'll be running stress tests and then defining server concurrent player caps. This project has and will evolve as it goes on, and I've considered very closely the possibility of making the game a multiplayer game rather than a massively multiplayer game or even just giving players access to the server software. It's an entirely free to play, DRMless, microtransaction-less game, so it wouldn't be an issue and it'd certainly take the stress off but for now it's still an MMO. We'll just have to see where it goes in the next 10 months*! The update is out, but it currently only runs on love 0.10.2. I had no idea that 0.11 had come out so I hadn't prepared for it at all. I've got mad uni assignments right now, so I'll do what I can do get it working on 0.11.1 but give me a few days! The EXE version of the game runs just fine but does have some strange crashes. Just pushed an update that makes the game playable on 0.11 and has some optimisations. v1.3.3 is now out adding a whole load of atmospheric sound effects and further optimisations! 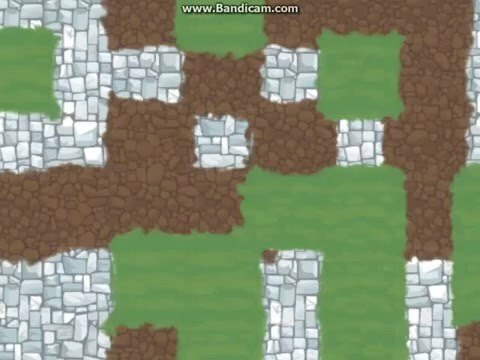 Re: [MMO] BrawlQuest: The Cursed Tribe v1.3.3 "My dog won't stop barking!!" The Coming Soon page is now up on Steam! The next Alpha will be called Shipwrecked, details here! If you'd like to play the Alpha then PM me for a key! All Alpha testers also get the full game for free. I still do not like the fact that in combat the window is surrounded by a sky. Making it black would make more sense, and hurt the eyes less. If you need any help with optimization on the world map for example, message me here and I can see what I can do (if you're not already using spritebatches). At least you gave yourself 4 months on steam, I thought you were releasing it now! Good luck! Also, in the world map all the tiles are quite square-y. I might darken that sky, but it's here to stay I'm afraid! And yeah, 4 months was definitely the way to go. Even then that's only an Early Access release!